Clark County Courthouse – Winchester, Ky.
Last week, I received several good guesses attempting to answer last week's #ThrowbackThursday. Someone guessed Jefferson County (Louisville), while another guessed Lincoln County (Stanford). 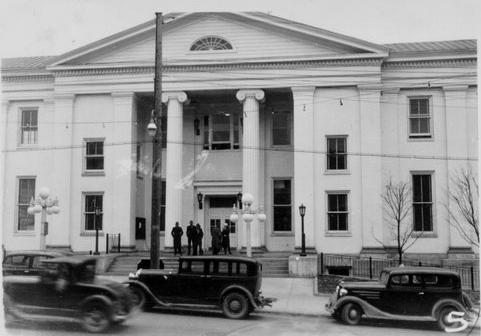 It was, however Michael Chambers who was the first to accurately identify last week's #TBT photograph of the Clark County Courthouse in Winchester. 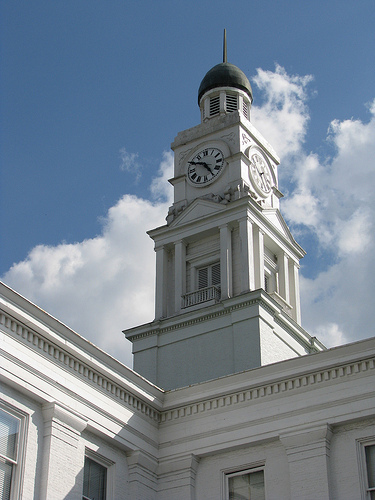 The magnificent edifice of the Clark County Courthouse in downtown Winchester was completed in 1855 the cost about $40,000. The iconic Clocktower was added in 1889, while a rear addition was built in 1938. Last week's photo was taken in 1939 after the completion of that rear addition. It is contained in the Goodman-Paxton Photographic Collection at the University of Kentucky. Be sure to check out Nate's notes from the KY120 project on the "stellar" Clark County Courthouse. No, it is not Dracula. Although Bram Stoker may be impressed with the story of the man entombed under Transylvania University's Old Morrison. Born in Constantinople (modern day Istanbul, Turkey) in 1783, Constantine Rafinesque immigrated to the United States in 1802. Here, he met a number of young botanists and began to collect his specimens. In 1804, while travelling in the Virginia-Maryland area he met President Jefferson. It was suggested, but never realized, that Rafinesque should join Lewis and Clark on their famed expedition. Whether he was rejected or declined an offer, Rafinesque returned to Europe with his specimens and settled in Palermo, Sicily.